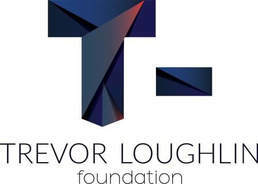 The Trevor Loughlin Foundation honors the legacy of Trevor Loughlin, son of Suzy and Joe Loughlin, brother of Juliette. Trevor exhibited kindness, compassion and empathy throughout his 21 years of life, and it is this legacy that energizes the foundation to find ways to help others. The foundation accomplishes this goal through raising funds and issuing grants to individuals and organizations in need, with a particular focus on helping patients who are battling blood cancer and other acute catastrophic illnesses. The foundation logo you see above is a ‘T’ followed by a dash. The dash represents the continuance of Trevor’s legacy, and what follows. Please look forward to participating in future events held by the foundation. It is only through the acts of kindness by individuals and businesses in our region that we can continue to help others within our community. We have made a difference to many patients and their families. Grants have been issued to patients battling leukemia, lymphoma, hodgkins and non-hodgkis lymphoma, multiple myeloma, glioblastoma (brain cancer), breast, colon, tongue, ovarian and uterine cancers, artificial heart transplant, atypical HUS and Morvan's/Stiff Person Syndrome, and more. These grants assist the patient and their family with the many expenses incurred while fighting to get well, like medication, transportation, hotel stays during treatment, and even household living expenses, such as rent and mortgage payments, utilities, food, and childcare. 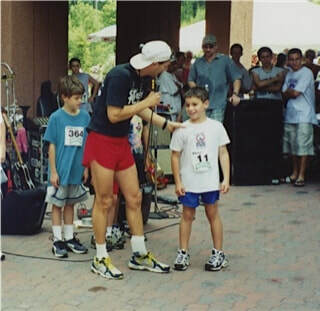 The foundation’s largest fundraiser, the Rhulen Rock Hill Run & Ramble 5K (R4), is held annually in June on the Saturday of Father’s Day Weekend. In 2016 the R4 raised over $80,000 to benefit the Trevor Loughlin Foundation and the Leukemia & Lymphoma Society. Donations were also made to Catskill Regional Medical Center, DKMS Delete Blood Cancer, and the United Way. Grants were issued to individuals battling Glioblastoma, Endometrial Cancer, Breast Cancer, Atypical HUS, Morvan’s /Stiff Person Syndrome, and Chronic Lymphocytic Leukemia. Trevor’s grandfathers, Walter Rhulen and his Papa John Loughlin, both died of leukemia. 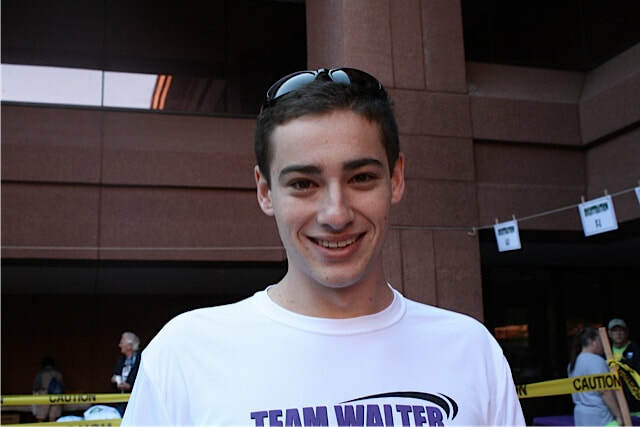 Walter in 1998 and John in 2011. Trevor strove during his lifetime to become the type of person his grandfathers, and all of his family, would be proud of. He succeeded. The R4 was important to Trevor, and he volunteered each year to help with the event.